In a 2005 interview with Science Channel, Edwin “Buzz” Aldrin seemed to say he saw an unidentified flying object (UFO) that followed Apollo 11 on its 1969 moon mission and may have contained aliens. In a recording of the video uploaded to YouTube, Aldrin recalls his experience and his conversation with mission control: “[There was] something out there that was close enough to be observed, and what could it be? “Mike [Collins] decided he thought he could see it in the telescope and he was able to do that. When it was in one position, it has a series of ellipses. But when you made it real sharp, it was sort of L-shaped. That didn’t tell us very much. Thinking the object may be the S-IVB rocket stage, the crew asked Houston how far away it was. The S-IVB was 6,000 nautical miles away. “We really didn’t think we were looking at something that far away,” Aldrin told the Science Channel. He said the crew decided they wouldn’t talk about it anymore until debriefing. 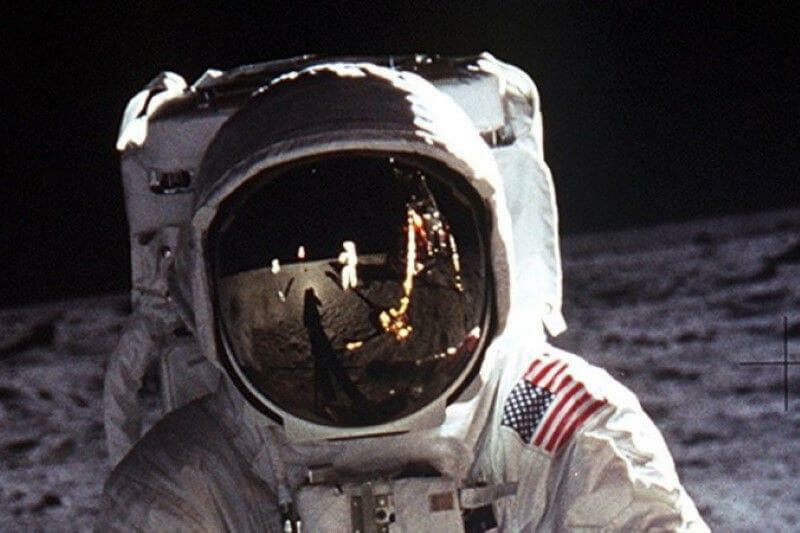 In a posting on the NASA website, astrophysicist David Morrison reported that he spoke with Aldrin after this interview. Aldrin told Morrison the quotes were taken out of context. Aldrin told Morrison, and also said on Larry King Live in 2007 that what they saw was likely a panel separated from the spacecraft as various stages dropped off—a normal procedure. Edgar Mitchell flew in Apollo 14 to the moon in 1971, and is known as the sixth person to walk on the moon. He told WPTV he is certain aliens have been watching us and that the government is aware. “I don’t know how many or where or how they’re doing it, but they’ve been observing us and here for quite some time. We see these craft all the time,” he said. “I believe what I’m saying and I cite the evidence that I know,” Mitchell said. Many websites and blogs interested in extraterrestrial life have cited a transcript said to have been leaked by a NASA employee after the Apollo 11 lunar landing. The conversation takes place between the Apollo 11 crew, mission control, and an unnamed professor. The name of the NASA employee is given as Otto Binder, a famous science fiction author, casting doubt on the transcript. “Apollo 11” is quoted: “These babies are huge … You wouldn’t believe it. I’m telling you there are other spacecraft out there … lined up on the far side of the crater edge. Gordon Cooper was one of the Original Seven NASA astronauts. He piloted the last Project Mercury space mission in 1963. “We couldn’t get anywhere near their altitude,” he said. After filing a report, he explained, “the answer that finally came back months later is they were probably high-flying seed pods, which didn’t sound very logical.”In 1951, he was flying with the U.S. Air Force in Germany when he saw many UFOs in formation at high altitude. The UFOs were flying higher or faster than human-built aircraft could at the time, he said in an interview with Yolanda Gaskins in 1996 on Paranormal Borderline. Then, in 1957, his military film crew recorded footage of a saucer-shaped UFO landing on a dry lake bed. It had three landing legs. They approached it and it took off. The film was sent to his superiors and never mentioned to him again. He also said friends of his who were commercial pilots have told him they have seen UFOs.